Excellent oral health is not only important for your teeth and gums – it can also have an effect on your overall well-being. Our experienced New Jersey dentist, Dr. Harold A. Pollack, and his team at Beautiful Smiles offer a full range of routine and preventive dental treatments designed to identify any potential concerns and help you maintain optimal oral health. With innovative technologies, thorough oral evaluations, and a comprehensive array of treatment options, our practice strives to provide patients of all ages the best results and the most comfortable experience possible. The information below will guide you through some of the options available here at Beautiful Smiles. If you have questions, or if you would like to schedule an appointment, please contact us today. Biology – First, we look for disease and any problems caused by bacteria. Are the gums healthy? Is there tooth decay? Structure – Next we address the structure of your teeth. Are there loose crowns? Cracks? Cavities? Function – Then we look at how your teeth come together. Is there a bite problem? Are any teeth missing or out of alignment? Does your jaw crack or pop? Aesthetics – Finally, we look at aesthetics. 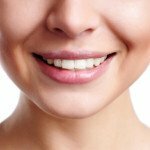 With cosmetic dentistry, we can straighten, whiten, and improve the look of your teeth. This may involve dental implants, teeth whitening, or porcelain veneers. All of these factors are taken into account when Dr. Pollack and his team treat you. During your visit, you’ll find that we use the latest equipment to ensure that you receive the best dental care available. Additionally, we work very hard to keep you comfortable throughout your visit. That includes things like providing blankets and TV programs to keep you relaxed while you’re in the chair – or perhaps a hand to hold for a child. Whether it’s routine preventive dental care or cosmetic and restorative treatment options, our practice offers a comprehensive array of family dentistry procedures for patients in virtually every age range. Our friendly dental team is dedicated to providing each and every patient with compassionate care, effective treatment, helpful tips on the best ways to maintain excellent oral health, and an experience that’s as pleasant and comfortable as possible. Learn more about family dentistry. Digital x-rays are a huge advance over traditional x-ray techniques. Our office utilizes the Schick digital x-ray system, which can take detailed images of your oral structures and provide instantaneous results. Digital x-rays allow for a faster diagnosis and significantly less exposure to radiation. One of the most important steps you can take to ensure you maintain the best possible oral health is by attending regular dental check-ups. Our comprehensive oral exams can identify any potential problems in their early stages, which can be essential to avoiding more serious concerns down the road. In addition to your regular check-up, we can give your teeth a thorough professional cleaning that takes care of areas along the teeth and gums that are difficult to reach with a normal toothbrush. Cleanings can also give your teeth a beautiful new polish, making them look healthier and more refreshed. Early detection and treatment of oral cancer are crucial to increase the chances of survival. Our practice offers state-of-the-art VELscope® oral cancer screenings that can detect irregularities in oral tissues that may not be visible to the naked eye. These painless screenings take just a couple of minutes to complete and can be part of your regular oral check-up. Dental sealants offer an effective way to protect against bacterial invasion and decay. Typically placed over the surfaces of the back teeth, dental sealants can provide a barrier to harmful elements that can penetrate between small crevices. Made of a durable plastic material, sealants can ultimately reduce the risk of cavity formation with results that last for many years. These treatments are often particularly beneficial for children. One of the best ways to maintain good oral health is by establishing optimal oral hygiene routines early in life. Our practice welcomes children and adolescent patients who are in need of general and preventive care or other treatments designed to help them attain beautiful, healthy teeth and gums. Our team is dedicated to making your child’s visit with us as pleasant and comfortable as possible. Learn more about pediatric dentistry and dental care for teens. Gum disease will affect virtually everyone at some point in their lives, even those who take excellent care of their teeth. If you are experiencing gum recession, bleeding or swollen gums, loose teeth, or other concerns, an oral exam here at Beautiful Smiles can determine whether one of our advanced periodontal care treatments will be necessary. Gum disease can lead to serious oral and overall health problems. Our hygiene team and Dr. Pollack can address the condition and help prevent further deterioration in the future. Do you experience anxiety when visiting the dentist? Nitrous oxide can help you alleviate your fears. Commonly referred to as laughing gas, nitrous oxide is a simple sedation technique that involves no needles and no pain. This odorless gas is breathed in through the nose. While nitrous oxide is not designed to put you to sleep or render you unconscious, the technique can give you a feeling of relaxation throughout your treatment and reduce your anxiety. Another major benefit of nitrous oxide is that it typically wears off quickly, so you will not need to set aside extra time for recovery from its effects following treatment. Customized nightguards can be very beneficial for individuals who grind or clench their teeth while sleeping. Nightguards are designed to prevent the upper and lower teeth from colliding against one another, which can ultimately cause significant damage and may eventually require major dental work to correct. Our nightguards are custom-made to provide patients with a comfortable fit that should not interfere with a peaceful night’s sleep. These treatments can also be helpful for patients with porcelain veneers, offering protection against damage from teeth grinding during sleep. Serious dental injuries can be prevented with the use of a sports mouthguard. If you are involved in any type of sport or activity where there is a potential for facial impact, a sports mouthguard can offer significant protection for your teeth and gums. Children and athletes are particularly susceptible to orofacial injuries, and our practice offers advanced sports mouthguards that can reduce the risk of dental trauma. Our practice creates PLAYSAFE® mouthguards that are custom-fitted to your mouth to provide optimal comfort and enhanced protection for the teeth and gums. We offer a wide variety of colors and styles, and the PLAYSAFE® brand includes six different levels of protection based on the specific sport for which you are involved. For more information about the preventative dental care treatments we offer to our expecting mothers or to schedule your exam, we invite you to call our office at 973-947-4331 or contact us via email.